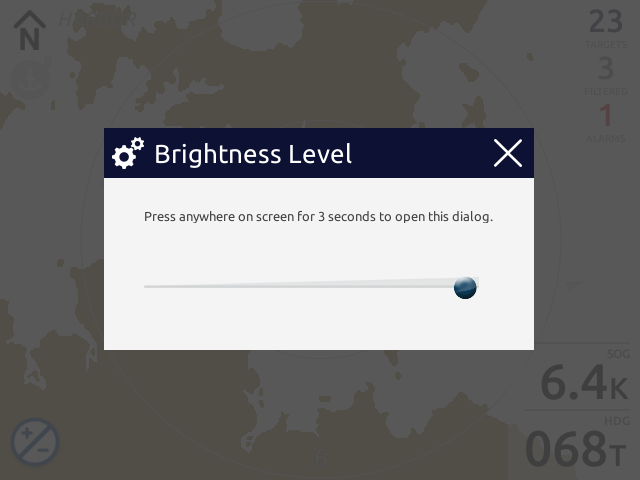 You can access the brightness control from the Settings Menu. Hint: the screen brightness level has the largest impact on your overall power consumption. You can set it to a very low level to conserve power when not actively in use. However, if the screen becomes too dim to read, press and hold anywhere on the screen for three seconds to automatically raise the brightness to a visible level and allow further adjustment.